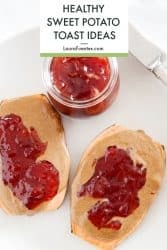 In case you didn’t know sweet potato with peanut butter is a thing and these PB & J Sweet Potato Toasts are where it’s AT! Just when you thought there couldn’t be another way to prepare these super, healthy vitamin A packed sweet potato toasts, sometimes going back to classics is better. 2. 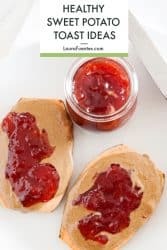 Toast slices in the toaster, toaster oven, or oven. In case you’ve never made sweet potato toast before, watch this quick video to see how easy it is to make. 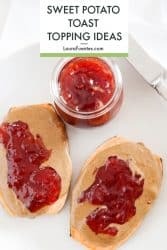 And today’s simple idea is the result of my brain saying “I want a PB & J fix!” and me knowing that going for the peanut butter tub with a spoon on hand is always a bad idea. While my family eats a whole foods diet, I don’t eat a lot of grains. 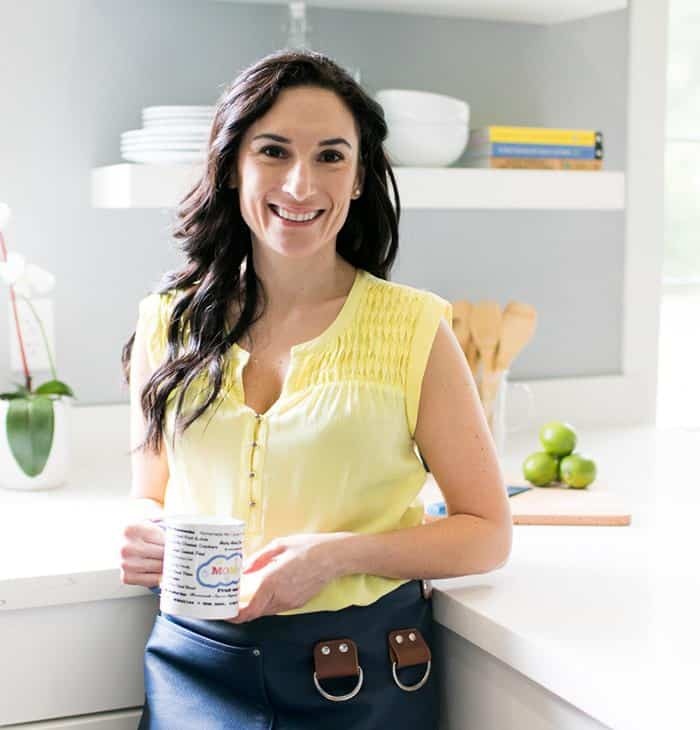 And instead of processed grains and empty calories from regular bread, I (you) get a healthy dose of vitamin A, fiber, and complex carbs for long-lasting energy plus these toasts taste amazing with basically everything! 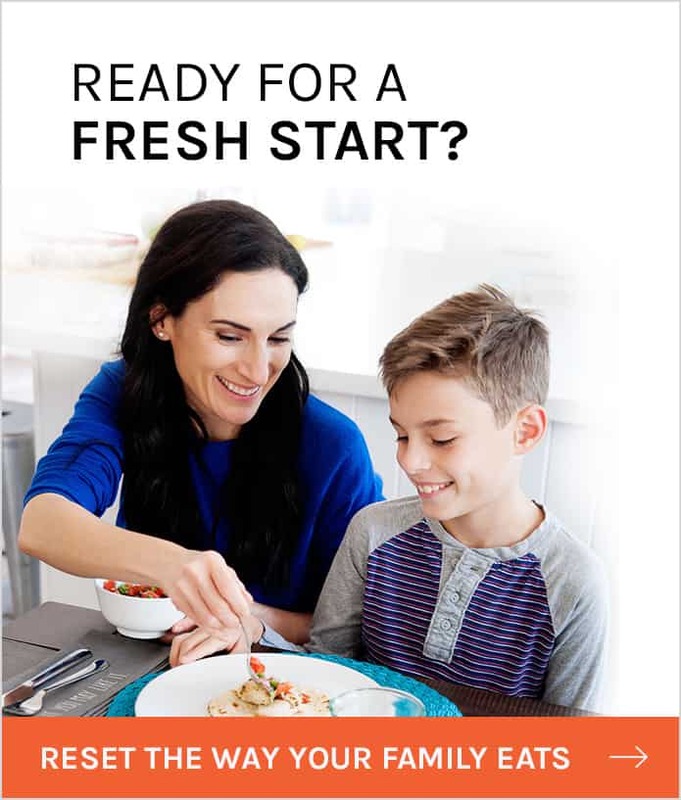 Naturally, sweet potatoes are gluten-free and they’re Whole 30 friendly, which is why you’ll find them on the breakfast menu in the Family Kickstart Program, a 4-week meal plan centered around whole foods so you and your family can ditch the sugar, processed grains, and still enjoy mealtime. 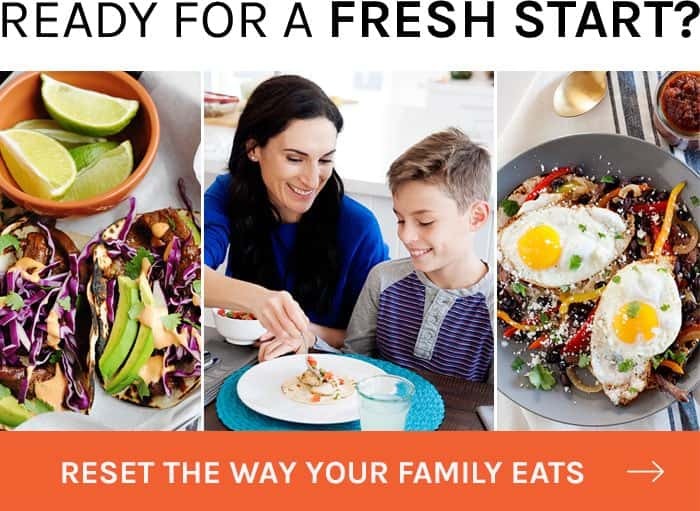 One thing KickStart focuses on is recreating classic family meals that help you discover new and more wholesome ways to enjoy your favorite foods. This way, if you want to eliminate processed foods and sugars from your diet, you can do it with your family. 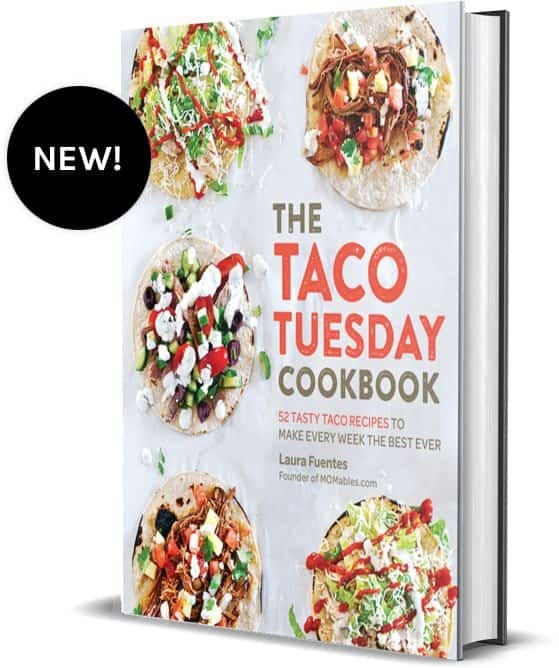 Now, if you plan to serve this to your family the bright orange color and tender texture won’t fool anyone so I wouldn’t try to sneak this swap for your family’s regular morning toast. Go ahead, be up front and let them top it to their tastes. 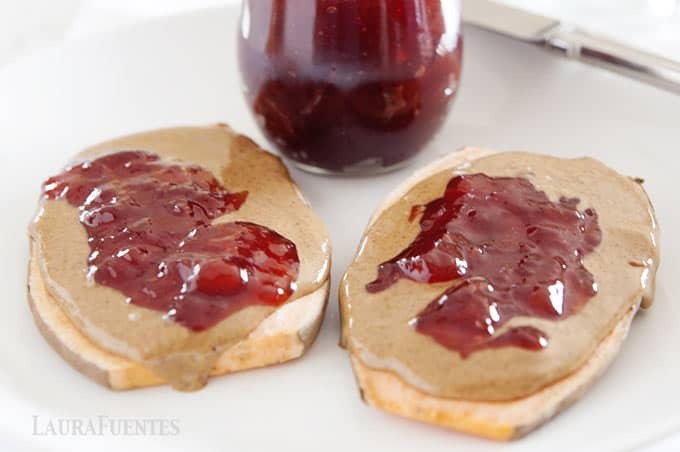 Tip: the PB & J combo will win them over. There is no wrong answer here, basically, if you’d put it on toast it’ll go on sweet potato toasts! 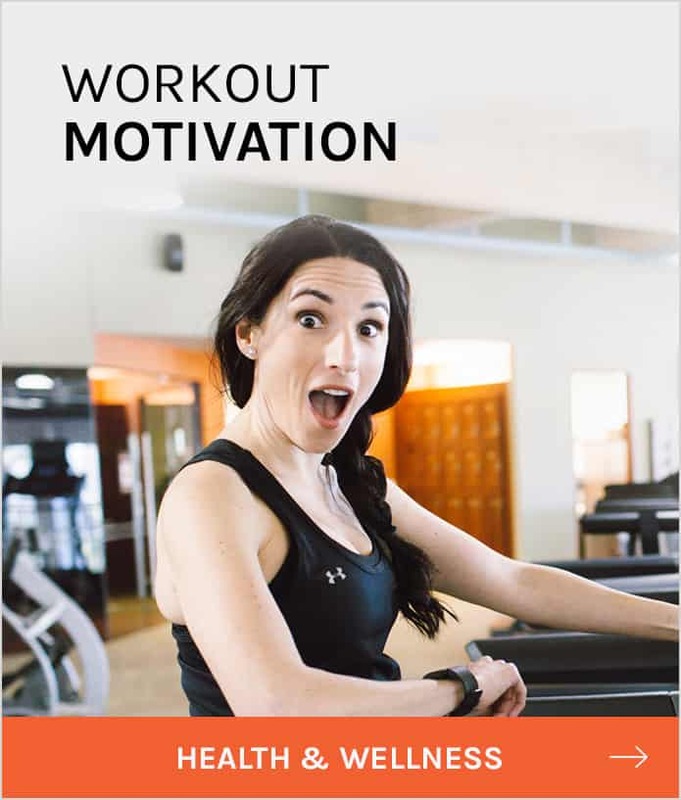 Yes, this might sound basic but there is a wrong and right way to do this step. Carefully cut the round surface of the sweet potato so it will sit flat, then slice, this cuts down the chances of any accidents happening (see what I did there). If you have a mandolin, even better! You bet these can be sliced and toasted ahead of time! Prep the amount you’ll need for up to 3 days, toast, allow to cool to room temperature and refrigerate in an airtight container. Before you top, give it a quick warm in the toaster. What are some ways you’d top sweet potato toasts? 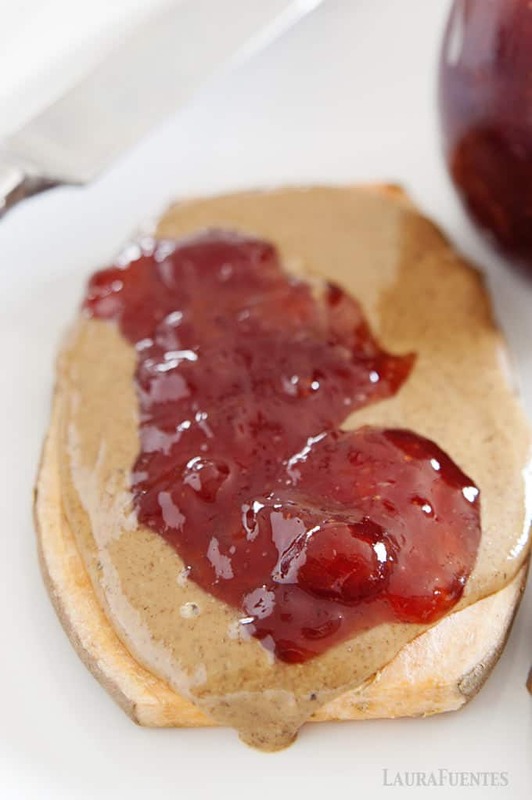 Want a nutritious grain-free way to enjoy a morning toast? 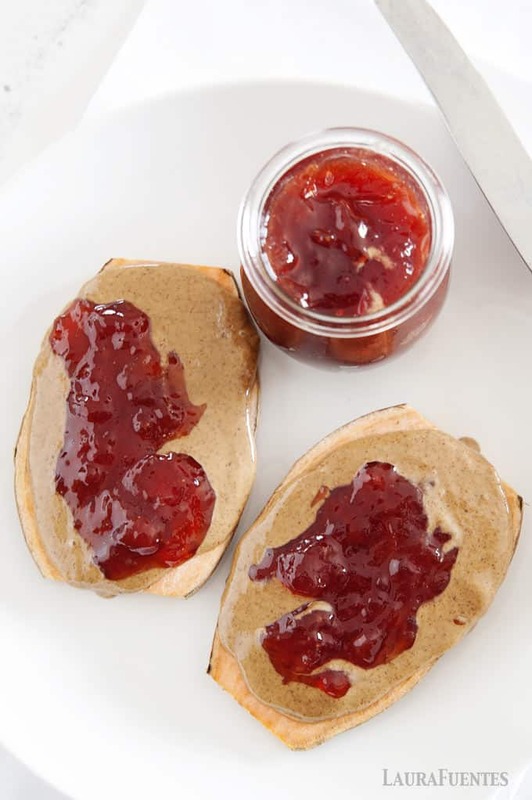 This sweet potato with peanut butter and jelly is a nutritious take on the classic. On a large cutting board, trim the sweet potato ends. Slice the sweet potato lengthwise into 1/4-inch slabs using a large knife, about 4 slices per potato. Place the sweet potatoes in the toaster oven and toast until the potatoes are lightly browned and fork tender in the center. In a regular toaster, toast standing up, for 2 toast cycles. 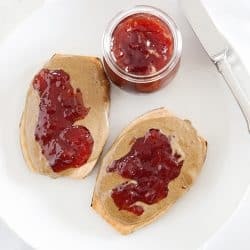 Once sweet potatoes are cooked through and toasted spread the peanut butter followed by the strawberry jelly over each sweet potato slice.